Emma Jones from Enterprise Nation shared her thoughts about starting a home business on Wednesday's programme. "My partner Tony and I are both in our 50s. After several frustrating visits to the job centre we're now thinking that it's best to start our own online company. Can you offer any practical tips or advice?" My own interest in this exhibition is that I'm a sole trader offering Graphic Design services and I've had, like many others in my industry, an extremely difficult year. Businesses like mine have been suffering from the effects of a recession for the past 12 months. I've lost all my freelancing work and most of my advertising clients have had their budgets sliced. In one final last-ditch attempt at drumming up new business, I've thrown all of my savings into a (very small) stand at the show, where I'm showing off a new website selling pre-priced design & print packages aimed at other small businesses and self employed people. The idea being to change my business plan from doing lots of different projects for a small number of clients, to doing small one-off projects for lots of different clients ...and if that doesn't work, I'm thinking of becoming a hermit. I did just what you are thinking about back in September of this year and I set up and now run an affordable ethical fashion website (www.bochica.co.uk). I'm only 29 and doing it on my own, which can be daunting, but my first piece of advice is…go for it! - Other advice I would offer is research, research and then research some more. - Check out your competition. You know you have a great idea but are there similar operators out there? If you discover there are don't be disheartened as you may well have a niche within that industry that hasn't been tapped into yet. - You will never know everything at the start and everyday you learn something new so with regards to the website side of things don't panic. I could barely turn on a computer before I embarked on this business route but while I'm a world away from knowing everything there is to know about the online world I have come a long way…teaching myself and a bit of trial and error is a good starting point. - When I started to think about my website I drew out on pieces of paper exactly what I wanted it to look like. Not exactly high-tech but it gives you a visual idea of how things might look. Anna Panayotou set up her own glassware business earlier this year. She was on Working Lunch last week to talk about how she did it. - Always portray a professional image - business cards, a leaflet/brochure and website are essential tools. - Market your product/service effectively. Find out how your competitors market themselves. Information about their activities can be found on their websites. 'I found Reed particularly helpful in the first stages of setting up my business. I drew up a business plan and a designated advisor went over it with me, covering all my topics from pricing to distribution. My advice is to invest as much as possible in technology that will properly showcase the antiques. Static photos really are not enough when spending lots of cash on an antique. I suggest making sure there are proper videos online and even zoomable 360 degree virtual tours of the products. Also quick thorough communication is essential. Static photos are the worst thing about ebay. I've been developing websites professionally for over eight years and now work for myself at antanova.com. Have a goal in mind for your website. What do you want to achieve? Do you want to convert visitors to your site to customers? Do you want to sell directly? Is the site just to build awareness of your business? Is the site there just to be a point of contact? Is it an alternative to a call-centre? Plan a life-cycle for your website, say two to four years. Budget for an upgrade or a replacement at the end of this time, as you're bound to have changed your printed material by then, and you'll want the website to match it. Try and have a budget to begin with. Prices and quality vary wildly, so try and get recommendations from friends, clients or suppliers, and check whether you like their websites. If you can't get a recommendation, look at competitors' websites and find one you like. See if you can see who created it. Don't design it yourself, unless you're a web designer. Don't think of your website like a printed piece of paper - it's not. You will probably need to compromise on visuals compared to print design, and as a rule should not stray too far away from convention because it confuses visitors to your website. Think of key words and phrases that your customers will use in search engines to find you. Make sure your website is optimised for those keywords. You can use free tools from Yahoo and Google to find out how many people are visiting your website and how often, and what words they use to find it. "Google webmaster tools" and "Google analytics" are both good tools. It's ok to find a gap in the market but if you're not really interested in that product or service, how will you ever be enthusiastic? Because my business is what I love, I cant wait to get up in the mornings, this is how you should feel about your business. 1. Start business networking. 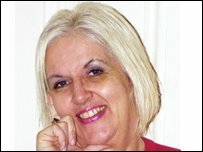 www.theathenanetwork.com (for women), very supportive. Look at online business networks such as bt tradespace, ecademy and the UK Business Forum. 2. Set up Google Alerts about relevant topics so you are up to date. 1) Have an idea where there is a gap in the market, unique or at least little supply. 2) The idea involves knowledge & experience you already have. 3) Be prepared & willing to work hard at it 24/7 between you (like a single farmer has to work). 4) Have persistence, 120% self belief in yourselves & business. Have the determination and be ready to take loads of 'knock backs'. 5) Start small scale & if looking good, buy up all the website domain names that are like your business name. (If it's example buy example.com. example.co.uk example.me example.tv example.eu example.net etc. If they're gone think of a different business name where all web domain names are available. A website can wait until you're ready, but at least you own all the names purchased & don't let them expire. 6) After started business & is looking good, If it involves an invention have it copyrighted. Have you ever considered Network Marketing? My husband and I were already in our late 50s when we started our Aloe Vera business - and in fact we appeared on Working Lunch in November 2005 in a programme about couples working from home, and working beyond retiring age. We joined a very well established company 12 years ago after I had success with their Aloe Vera based products and in that time we have built a worldwide team of distributors via our website. For the last 7 of those years we have earned far in excess of the kind of pension we might have expected from any other source. Networking isn't for everyone, but if it sounds of interest you are very welcome to contact me for a chat. Whatever you decide to do - and as two people dedicated to the ideal of working from home - we wish you the very best of luck! First bit of advice I'd give to anyone starting their own business is to be very clear on how you are going to create value. It can be something you're good at, or a gap in the market that you've noticed that other businesses aren't filling. A lot of people dismiss their own business ideas because they assume that someone else out there is already doing it, or that it would be too hard. But there's really not much impediment to starting out on your own, in fact there's lots of resources available to get any idea off the ground. Really though, the key thing is that any business exists to create value for their customers. If you're confident that what you're doing is adding value, then there are customers out there who are willing to pay you to do it. How many customers, and how much they're prepared to pay will define how successful the business, but one thing is for sure - if your business isn't creating value, then it will not be successful. It may seem possible to make money without actually making anything or providing any services, but it will be strictly short term. But if you can find a business idea that plays to your strengths so that you can add value, then you've got the fundamentals of a successful enterprise. Business Link should be able to direct Sheena to her nearest business support organisation (usually an Enterprise Agency), where she can have free one-to-one advice from a business adviser who is SFEDI accredited, so knows what he or she is talking about. She can also seek support from Prince Charles' relatively new charity PRIME (Prince's Initiative for Mature Enterprise - visit www.primeinitiative.org.uk ), which is specifically aimed at helping the over 50s with their ambitions for self-employment and starting a business. There are shows, such as Business Startup (Olympia, 28-29 Nov, visit www.bstartup.com ), which is free to attend and has a comprehensive range of exhibitors, speakers and seminars that might also be of use. Happy to to help out. What about event management and desktop publishing? They can get a free website from Microsoft office live and start their own online business. If they need desktop publishing tuition - they can enrol at their local adult education centre for classes. There are lots of courses on offer nowadays!! The very best of luck!! Excuse the self promotion, but I'd highly recommend joining AltruWorld.com. It's a procurement forum for good customers and suppliers, ideal for people looking to start a business as it removes the hurdles of identifying your target market, levels of demand, finding you good customers and helping to control your workflow and market exposure. Plus, it's free to join and very altruistic to use! For more information look at www.altruworld.com or just give us a call. I suggest they contact their local Business Link. Business Link is a free business advice and support service, available online and through local advisors. These services are funded by Regional Development Agencies, and supported by government departments, agencies and local authorities.